When you think about Arizona, what comes to mind? You would probably say scorpions, cacti, wildflowers, and dry heat. The summers can get so hot, it may feel as though your shoes might melt right off your feet from walking on the hot pavement. This may sound dreadful to some, but why do over 6 million people call Arizona their home? Arizona is home to one of the seven wonders of the world, the Grand Canyon. On top of that, it is one of the best states in the nation that you can see stunning sunsets on a desert backdrop. Although Arizona gets a lot of sun, many parts of the state also get snow. If are you interested in visiting or moving to the area, Mesa is a great place to add to your list. Mesa is conveniently located just east of Phoenix and offers a lot of ancient history and fun attractions for the whole family to enjoy. You will definitely want to take your car with you, even if you are going for a vacation. Mesa is very much a commuter city. There are many sights to see, so you do not want to miss out on any. Plus, you get the chance to enjoy them from the comfort of your own car. To get your vehicle to Mesa, count on National Dispatch, which provides fast, safe, and affordable car shipping services. Learn more about Arizona Car Shipping. Book in advance. It is recommended that you give yourself plenty of time to book auto transport services. This ensures that you get the date and car shipping services that you want. In addition, it allows the car shipping company to get everything in order. Prepare your car for its journey. Luckily, if you are shipping your car to Mesa, then you do not have to worry about snow, even in the winter months. However, you do need to concern yourself with the heat. The sun can also cause damage to your car’s exterior and interior. Take the appropriate steps to protect your car from the sun’s harsh rays. You may want to opt for enclosed auto shipping as an extra precaution. Also, make sure that your car’s AC is working, before it is shipped. You will be forever thankful that you did. Request a quote. Most people have questions about the cost of car shipping. 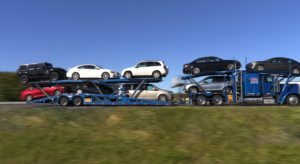 The best way to receive a car transport rate that is catered to your specific situation is to request a quote online or by phone. To get a quote online, use our free quote calculator. No personal information is required to get a quote in seconds. Before moving to Mesa, there are some things that you should know about the area that will soon be your forever home. Check them out below. The area has a great school district, the largest in the state. In addition, there are numerous options to receive a higher education. Some of your options include Arizona School of Health Sciences, Wilkes University, Benedictine University, and Mesa Community College. If you are relocating to the area for educational purposes, read our Reasons To Ship Your Car To College for helpful tips and more. We hope you like warm weather, because that’s what you will find in Mesa, Arizona. In July, temperatures can rise above 100 degrees. That’s a real scorcher! The area doesn’t get that much rainfall, either. This makes for dry, sunny weather. However, there are two advantages to the heat, one being outdoor activities and the other being an escape from the cold. 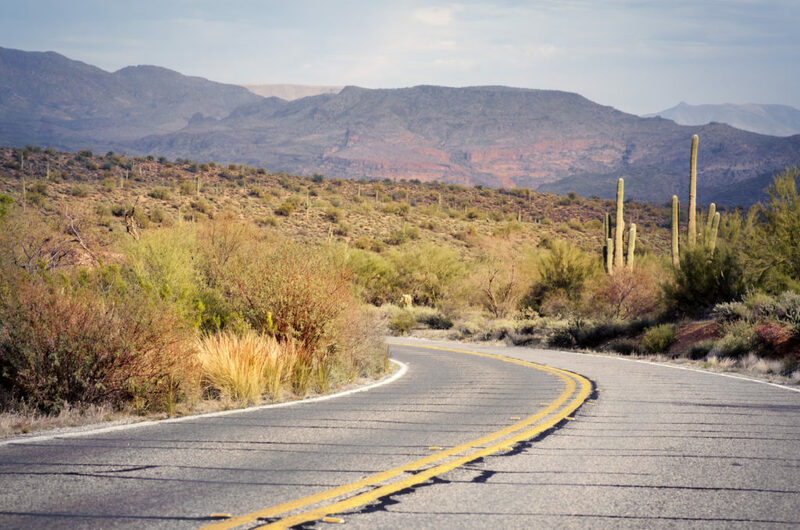 Many people in colder climates, known as snowbirds, relocate to Mesa or other parts of Arizona during the winter months to stay away from snow and ice. There are some parts of Northern Arizona, such as Flagstaff, that do see quite a bit of snowfall. Mesa makes for a great place to live and work, because the cost of living is low, job growth is increasing, and unemployment rate is below the national average. For these reasons, many small and large corporations are relocating to the area. There are already some well-known companies that have established a foundation in the city. These would include Apple, FUJIFILM, Bridgestone, and Mitsubishi. Are you moving for a job-related reason? Read our Corporate Relocation Guide. Golfland-Sunsplash – This is both a waterpark and amusement park to splash around and have a good time. Arizona Museum of Natural History – If you are interested in Dinosaur bones and historic artifacts, then this is the place for you. I.d.e.a. Museum – This one is for the kids. It is to inspire imagination and encourage self-expression through hands-on activities. Papago Park – This park, located in Phoenix, offers opportunities to hike and explore rock formations. Are you in need of car shipping services to or from Mesa, Arizona? National Dispatch is a nationwide auto transport company. We offer a free, instant car shipping quote form using our online quote calculator. No personal information is required. Only four simple fields of information are needed: vehicle make, vehicle model, pickup location, and vehicle location. To speak with one of our auto transport representatives, call us at 800-321-2051. You can also use the chat feature located on our website.